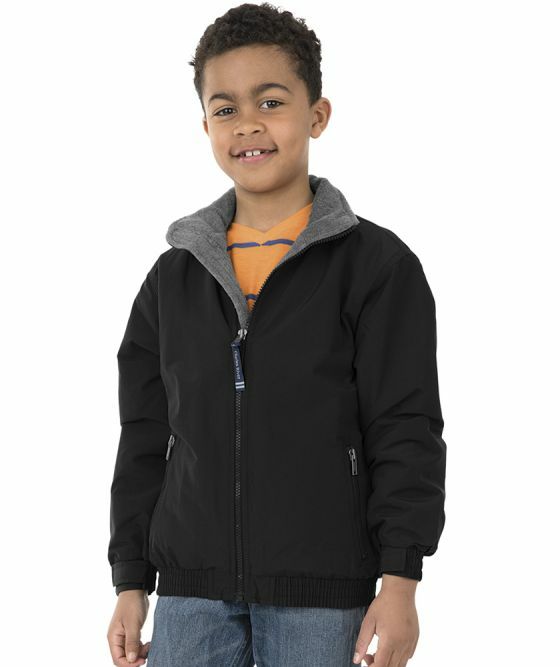 SKU: CR-8934 Category: Youth Outerwear Brands: Charles River Apparel. Wind & water-resistant River Bank Taslan Nylon with anti-pill Summit fleece lining 9.73 oz/yd2 (equiv to 16.22 oz/lyd, 330 gsm). Quilted nylon & heavy duty needle-punched insulation in sleeves provides extra warmth. Stand-up collar with wind flap provides enhanced weather protection. Zippered pockets & inside valuables pocket. Elasticized/hook & loop cuffs & hem. The Charles River Apparel Youth Navigator Jacket can be purchased in your choice of the following colors: 010 Black, 020 Forest.